I am straight forward and honest.I don't judge or criticize I use love and logic to guide you through your reading. I am here for you always. I am your spirit walker that will find the answers to all you seek. 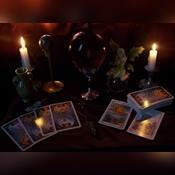 Amazing Amira Psychic Tarot Reader. I am a Reader who is gifted on many levels, I provide accurate psychic readings about life, love, money, success and my guides provide immediate answers to your questions to make you happier and more successful. I am Empathic Clairvoyant who connects with all spiritual entities to find the true answers now. I work hard for you. To make sure you find the peace and security you are looking for. The stress is over. Now it's time for you to have that successful frame of mind. I am the one to open the door for you and help guide you to an awakening that show you your true path down destiny road. Heaven guides me to insightful answers. While things may have been rough in the past I am hear now to show that with a little bit of love and positive thinking you can do, be, and have anything you set your mind to. Today is the day to gain clarity and freedom. I speak only the truth about what I see and feel. I give specialized readings that are very insightful. I will help you to discover the real truth. I am honest and straight to the point. NO lie's, No fear, No criticisms or judgments. I work to the best of my gifts to give you comfortable spiritual solutions to problems. Your ultimate search for healing and love answers are over. The truth is just a call away. Amazing Amira1 has been a user of Keen since 2006. 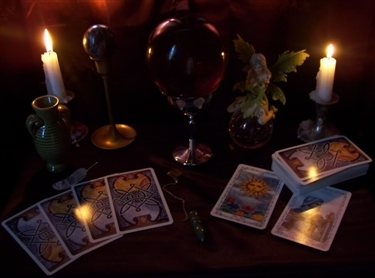 Getting Tarot Readers advice from Amazing Amira1 through www.keen.com is safe, secure and confidential.